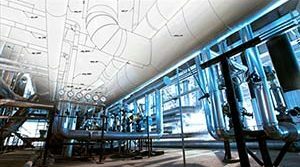 Big Ton Springs used in a Chemical Processing Plant | Piping Technology & Products, Inc. 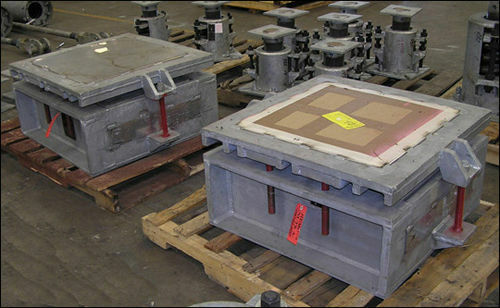 The limiting constraint in designing and fabricating these big ton spring supports was to maintain an overall height less than 15-3/4″ and still allow the load table to travel downward during operation. Whereas a standard PT&P size 2-190 variable springs would have been sufficient to hold the load specified, the coil alone was taller than the space available at site. For this reason, a “big ton” design was implemented which utilized six smaller coils (2-130 size) working in parallel to produce the required load-carrying capability and spring rate. All of the frame/housing components were made from carbon steel and supplied with an HDG finish. The travel stop rods were made of A-193 Gr. B7 material and were painted red. 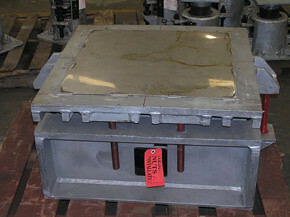 The slide plates sitting atop the load flange were made of polished A-304 stainless steel. 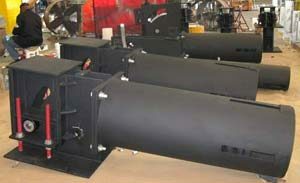 Both “big ton” assemblies are 30″ wide by 30″ deep by 15-3/4″ tall. Overall spring rate is 3,600 lb/in. and each weighed approximately 1,460 pounds. The installed (cold) load = 14,800 lbs. and the operating (hot) load = 16,075 lbs. Movement from cold to hot = 0.354″ down. Tested in the load cell to insure proper operation throughout the entire working range of the coils, the “big tons” were then set to the cold (installed) load as specified. Want to learn more about big ton springs? Watch one of our engineered spring webinars now!